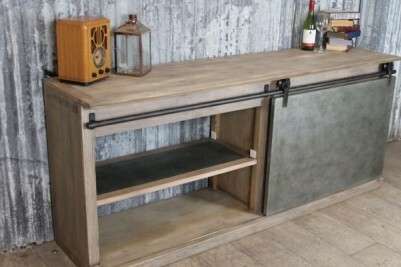 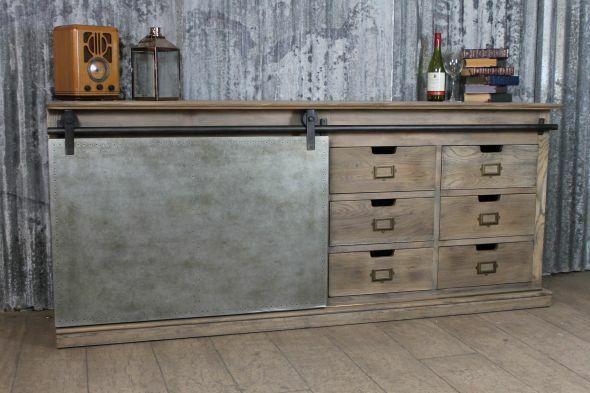 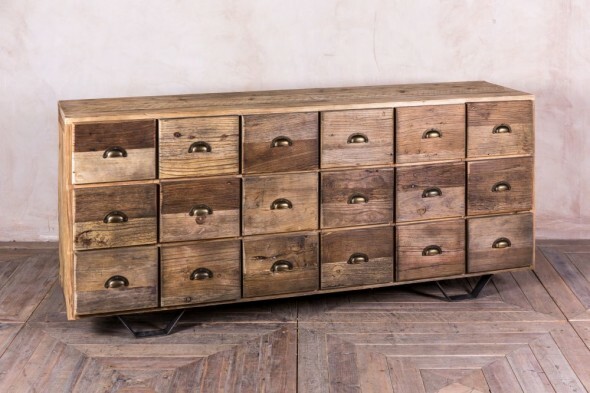 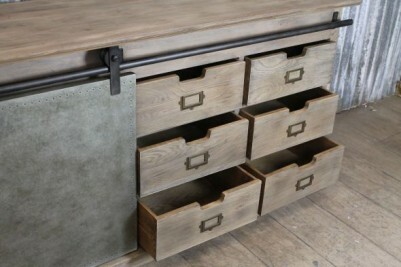 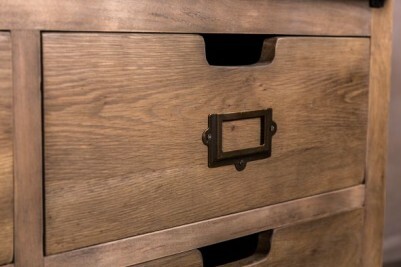 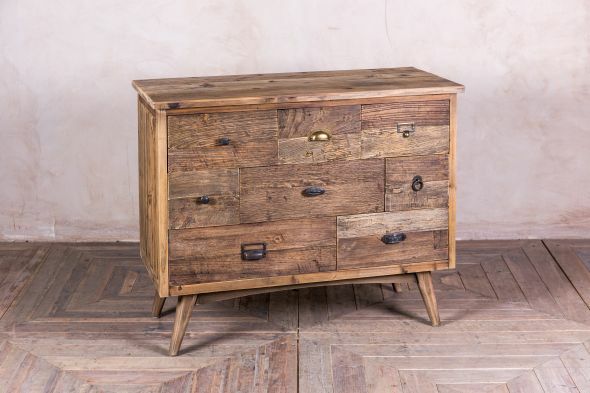 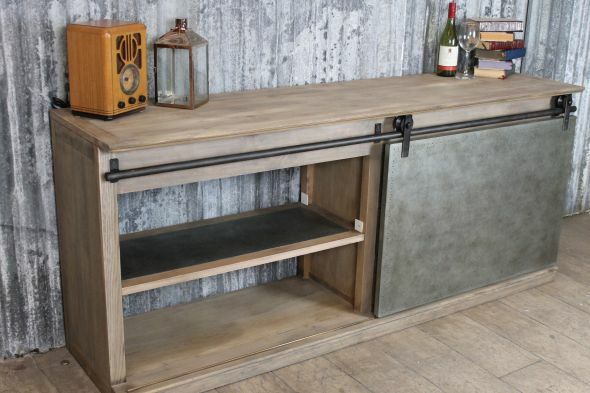 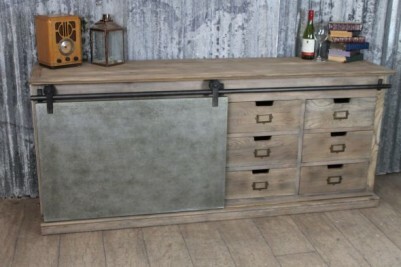 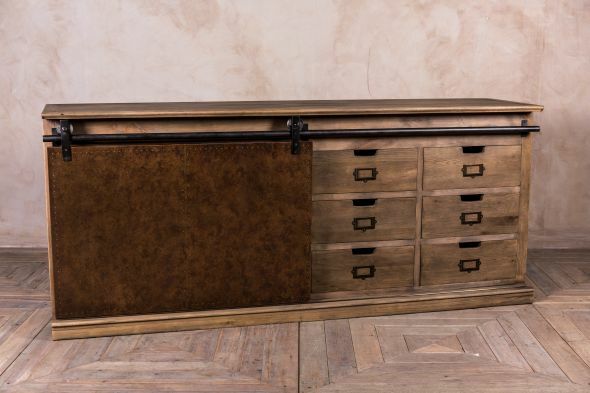 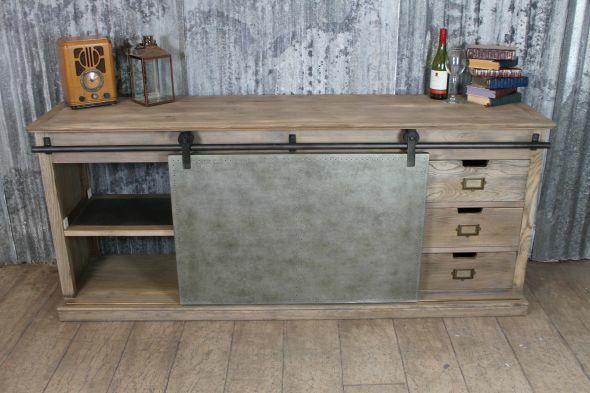 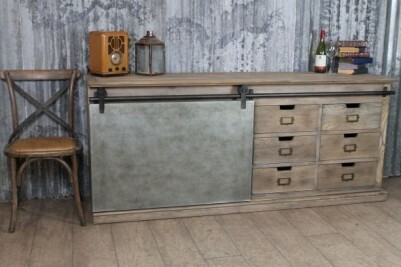 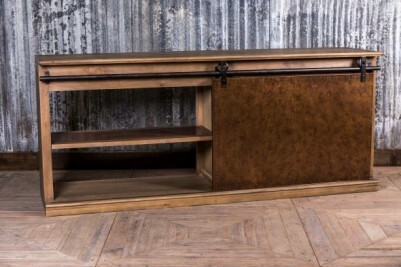 This large sideboard is a stunning piece from our industrial style furniture range. 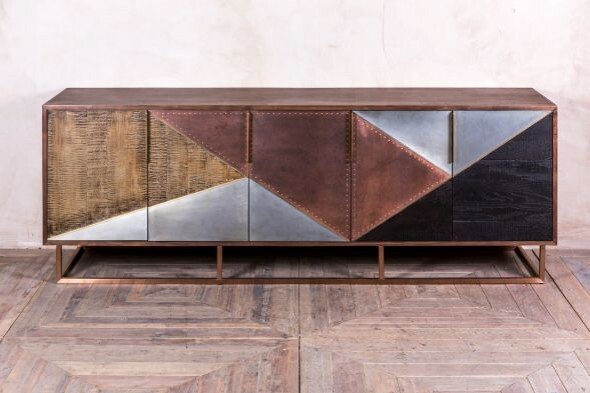 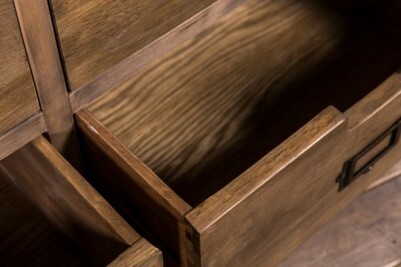 Crafted from oak and pine, the sideboard has a zinc or copper wrapped sliding door and a number of drawers. 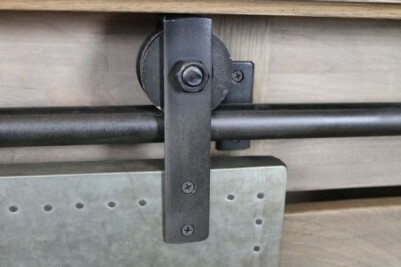 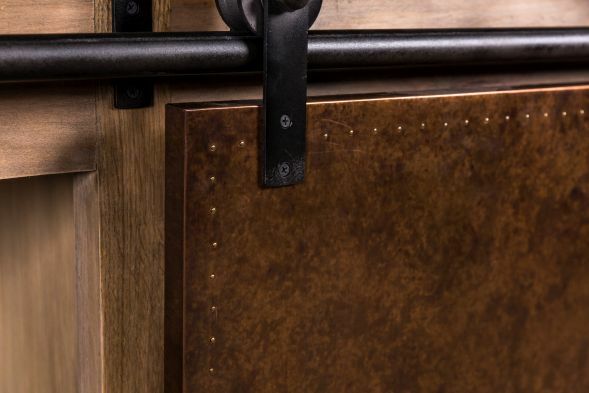 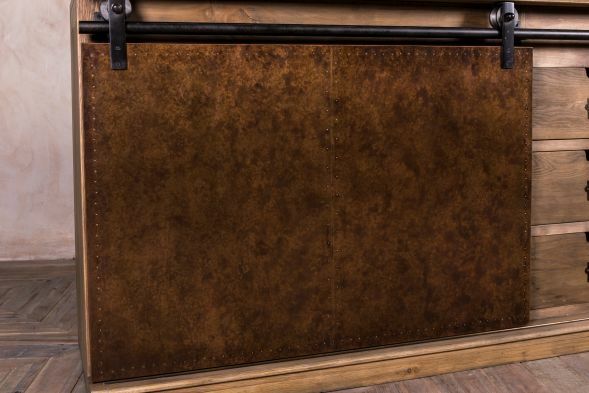 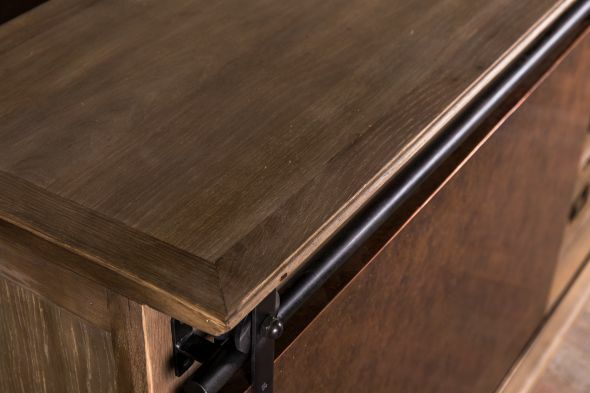 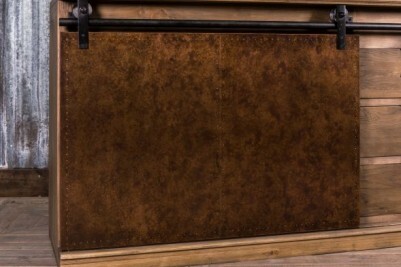 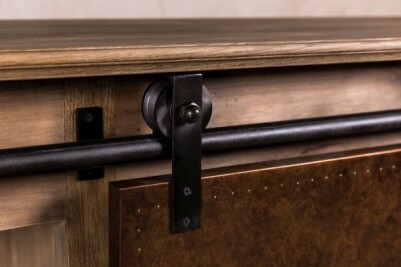 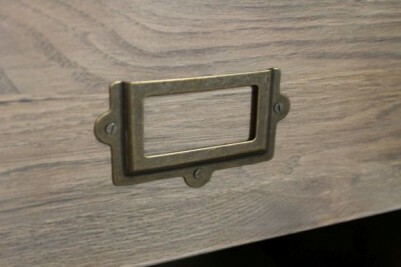 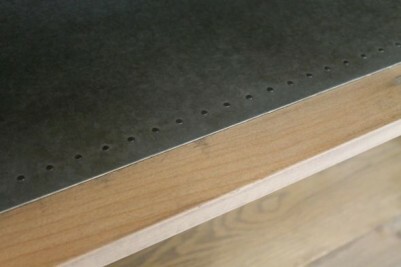 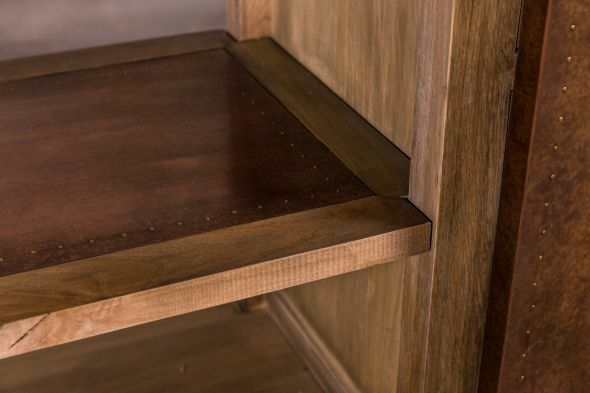 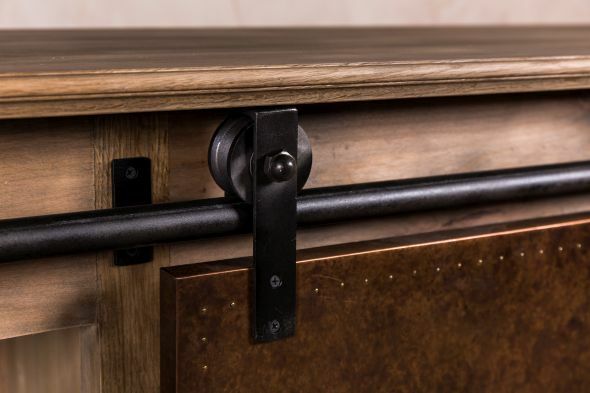 The door easily slides on a steel rail, opening to reveal a matching internal shelf with zinc or copper wrapping, and the drawers feature recessed handles and card holders. 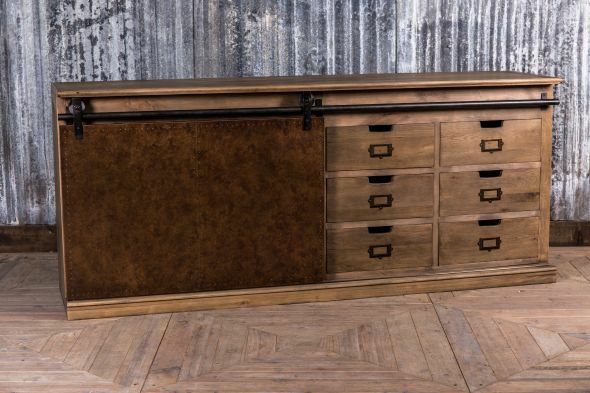 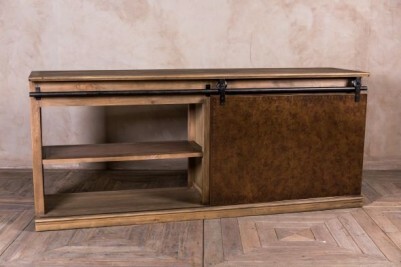 Offering a large amount of storage space, this sideboard would suit a dining room, living room or large hallway; the unit could also be used in a bar or restaurant. 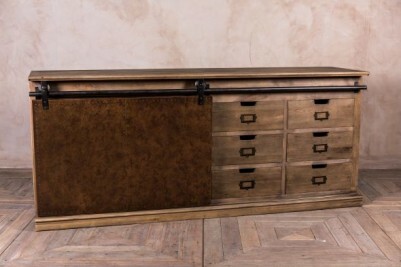 This truly is a unique piece of furniture, which would be an excellent focal point for any interior. We also stock large haberdashery units with zinc and copper wrapped drawers, as well as zinc/copper top dining and cafe tables, which would complement this industrial look sideboard. 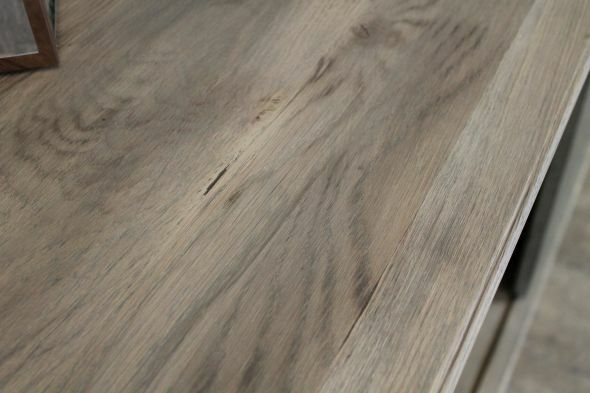 Please see below or browse our website for more information. 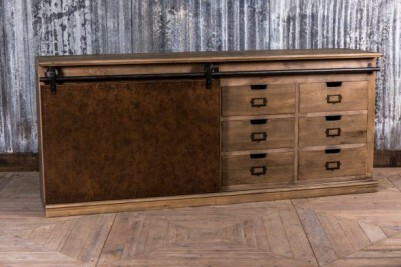 This stunning unit is delivered fully assembled.